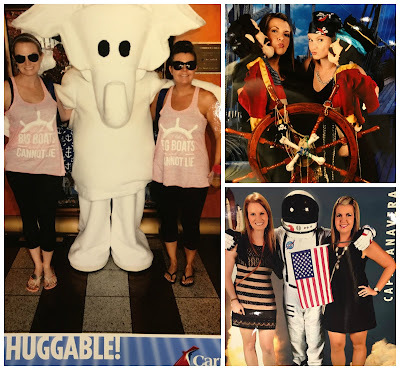 I cannot believe it's been over two months since my best friend Keri and I were on our week long girls cruise on board the Carnival Valor. It was a 7 Day Western Caribbean Cruise which ported in Cozumel, Belize, Mahogany Bay Honduras and Costa May. We had two days at sea, the first day and the last day which was the perfect schedule in my opinion. Over the last few cruises I have been on, I've learned to embrace Sea Days and use them as a day of total relaxation. It's a day where you can either plan it to the minute with various activities happening all around you or plop on a chair and do absolutely nothing. 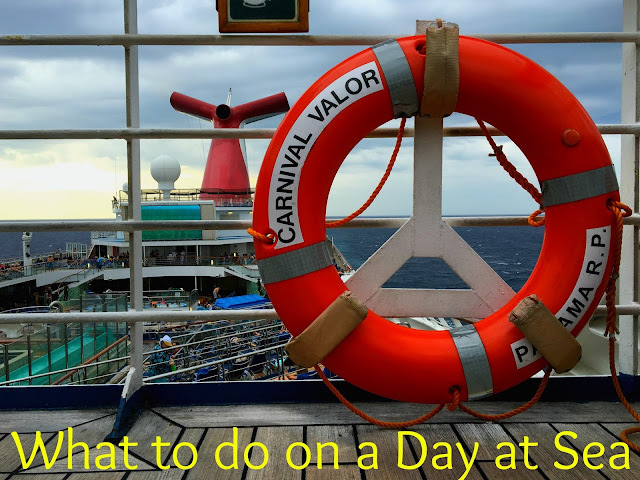 Carnival offers Brunch on days at sea. You can get something very healthy or be completely gluttonous. We enjoyed Sea Day Brunch during both of our days at sea which you can read all about by clicking here. The last two Carnival Cruises I have been on had Mixologist Competitions. You are offered a variety of liquors and mixers to choose from and the judges pick three people to come up and compete. The winner gets a drink named after them for the entire cruise. How cool is that! I've always wanted to win this but after witnessing the contest in person, my stage fright would never allow this to happen! You can take part of various trivia challenges throughout the Cruise. My favorites have always happened on days at sea. This year, we did Friends Trivia - and got annihilated. Then all my Carnival dreams were answered and I finally brought home the coveted Ship on a Stick along with curing my above mentioned stage fright. Keri and I entered the 90's music trivia. I knew we had a very strong chance of winning this. I got 100% of the answers right and when they went around judging, they pulled people on stage to sing the song. I got pulled up to sing Ace of Base, All that She Wants. I was mortified. There were people everywhere. I asked for a makeup to sing the final song, which they allowed both Keri and I to do - and we brought down the house, by singing Spice Girls, Wannabe. It was epic and we both brought home our Ships on a Stick. Most nights, Carnival offers Seaside Theater, an outdoor movie on a giant screen overlooking the pool. We enjoyed grabbing our free popcorn watching yet to be released to DVD movies. Carnival offers a variety of Spa Specials throughout the cruise but on days at sea, expect to find an extra saving. We took advantage of this and had a treatment - a body scrub and massage at a very discounted price. Plus they use Elemis, which is an amazing line of product. I bought the Elemis Musclease active body oil which was used on my massage. This is a great product for any athlete! Comedy Shows are offered nightly on Carnival Cruise Lines. Punchliner Comedy Club is part of their partnership with Celebrity Comedian, George Lopez. We saw quite a few funny acts and are still laughing two months later. A fun fact - on some of the longer cruises, they switch acts. One of the shows we attended had just arrived that day when we were in Honduras. I absolutely suggest at least one show while you are on a cruise. There are so many opportunities to take photos while on a cruise. On Days at Sea, you will find some unique photo opps, such as taking a photo with a giant towel animal! Speaking of Towel animals, we caught an entire parade lineup on one of our last nights at sea. Carnival offers a variety of Dance classes on days at sea. We have taken Thriller more than once and I still don't know more than half of it today. It's still a great time to be taught dances by professionals. Many of the Carnival ships offer mini golf which is fun for kids of all ages. Throw in a little competition (winner buys the next cocktail) and it's all out war! 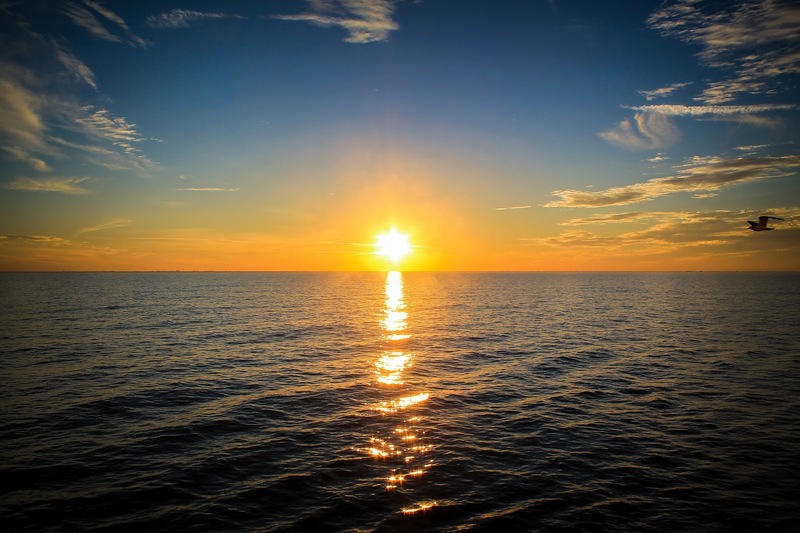 Because you are on the ship all day, I find it much easier to catch amazing sunsets due to not rushing around all day. And to think, I used to say days at sea were boring. Not anymore! I finally did the Thriller class on my last cruise and had the BEST time ever! I admit I didn't invite any of our cruise friends or even Glen to watch but I did it and had so much fun! Cruise bucket list item is checked... YOLO right?